Whether you have or are looking to get tile roofing in Rancho Mirage, you want a local roofing company to handle the job. There are some major benefits to choosing a tile roof, but installation, repairs, and maintenance can be dangerous. 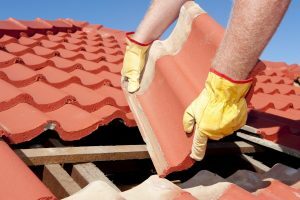 The professionals at Reliable Roofing can help you choose the right tile materials for your property. We provide guaranteed installation and can repair your tile roof to a like new state. 25 years of local roofing experience. We have been providing Rancho Mirage with tile roofing services for over 25 years. That gives us the edge. We know local weather, how it affects tile roofs, and how to provide you with the longest lasting installation. There are some major benefits to roofing tiles. Choosing the right tile material, color, and pattern provides the look and qualities you’re after in a roof. Our roofers will help you find the right solution for your property and budget. Long-term durability – Tiles are built to last. Many last over 100 years. Sustainability – Tiles are an incredibly green option for conscientious consumers. High-resistance – Tiling is Class A fire retardant and resistant to hail. Efficient – Roofing tiles cut heat substantially over other common roofing materials. Individual repairs – Single tiles can be replaced instead of large sections of roof. What a lot of companies won’t tell you is that the quality and durability of your tile roofing is directly tied to the quality of the other materials used during construction. Even though the tiles themselves are incredibly resilient, the flashing and underlayments are where wear can really add up. We always use the highest quality materials for your budget, and can show you exactly how utilizing better materials now can save you money in the long run by greatly increasing the life of your roof. Tile roofing never goes out of style. It provides timeless beauty and long-term protection, just make sure you get it installed by reliable professionals. We’re Reliable Roofing, and we deliver on our promises. Call or contact us to schedule an appointment today.